Between 1899 and 1926 Kelly's Hertfordshire Directory describes him as a watch maker and jeweller in Royston High Street and also as a photographer in Kneesworth Street. After 1929 the entry only refers to a watchmaker at 4 High Street. 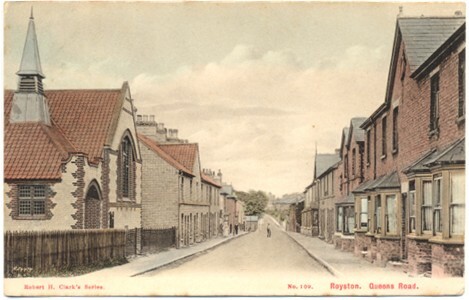 Royston, Church from S.E. (q.v.) is unnumbered and similar to the above. I have a copy posted in 1907. 22. 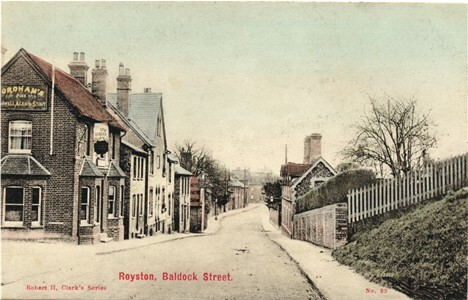 Royston, Baldock Street. (shown above) - later back that the rest and the only one printed in Saxony - may be a reprint at a later date. 42 Royston Church from N.E. 135. Royston Church. Rev J Harrison, Vicar 1872-1907 (q.v.) is a multi-view card with space for a message on the picture side. 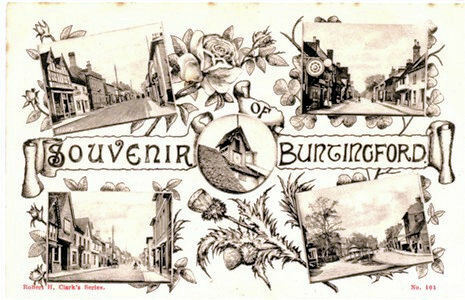 Another early card of his shows Nuthampstead Village (q.v.). It is not numbered and the back would appear to be of a similar age to the above but of different design, and the title is in script. Might even be earlier. 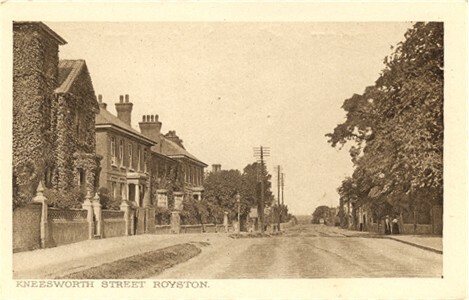 In the Kelly's directory for Hertfordshire for 1912, under Royston, his entry reads: Clark, Robert Henry, watch maker and Jeweller, High Street & photographer, Kneesworth street. The business has continued in the family and I am mainly concerned with the earlier postcards. 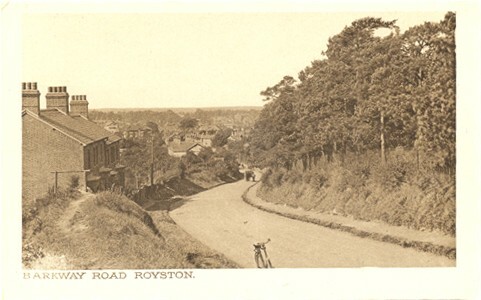 The above card, showing the Royston Crow and a view of London Road, Royston, was printed in Saxony and has a simple back, suggesting a later date than the previous cards. It was posted in July 1909. The number is unreadable - but is at least over 500, as the first digit could be 5,6,8, or 9. 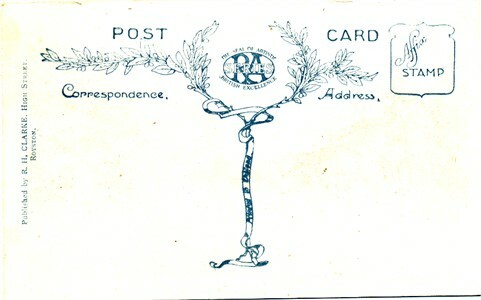 The above souvenir card is "Published by R. H. Clark, High Street, Royston" but the highly decorated back (below) shows that it was printed in England by Radermacher, Aldous & Co., who published many cards for other people. Date uncertain but perhaps early 1920s. An uncoloured version was also published. 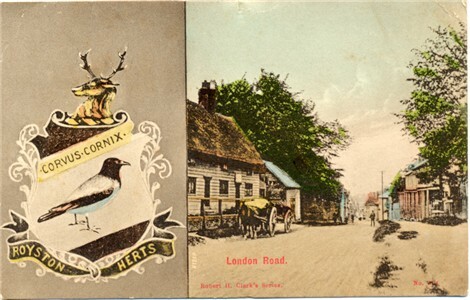 The following two monochrome cards have similar backs and may have been published at about the same time. 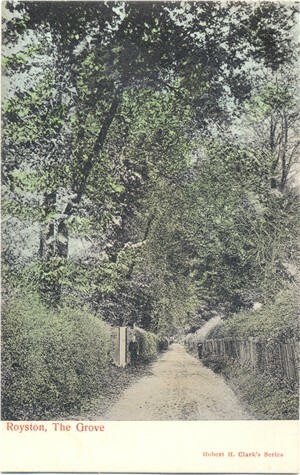 The above photograph of Kneesworth Street illustrates a way of comparing the date of photographs by the telegraph poles. As more phones were connected more lines were needed - and more cross-bars were added to the poles. This photograph shows 4 larger cross-bars on each pole and seven shorter ones. 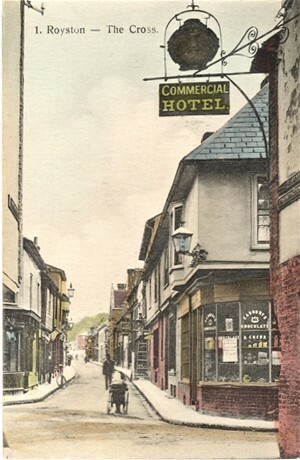 This makes the photograph quite a bit later than the photograph of Kneesworth Street in 1907 in Old Royston Volume 2 which only has the 4 longer cross-bars. 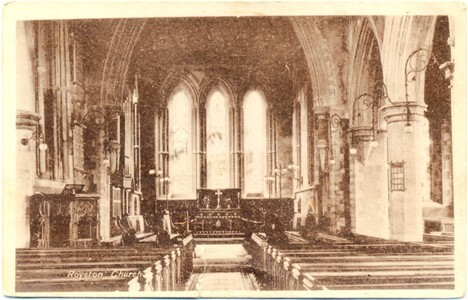 I also have other cards with a very simple back showing Therfield Rectory (q.v.) and Anstey (q.v.). They are un-numbered and I am not sure where they fit into the series. 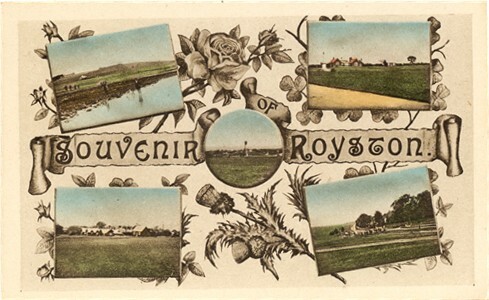 The Royston Cave postcard (q.v.) 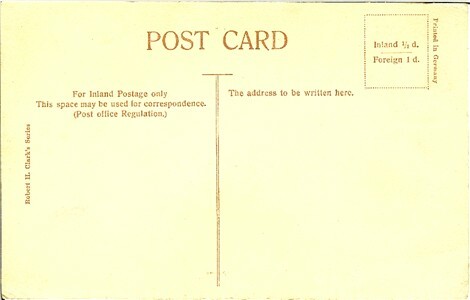 is an early card (back circa 1904) in the "Real Photographic Series" while all the above are printed. 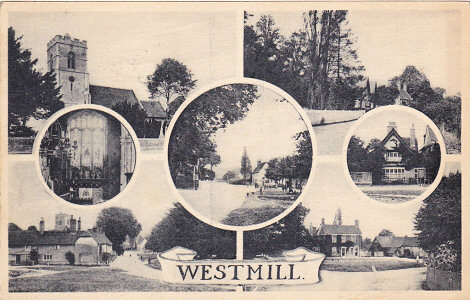 Most of his cards are of Royston and nearby villages in Hertfordshire and Cambridgeshire but Colin has located an early card of Wrestlingworth, Bedfordshire, which is not far from Royston. Did he also publish any cards of the nearby parts of Essex? If you can can provide further dating information on the above cards, or others by Robert H Clark, please tell me.